MTV’s Siesta Key Will Put Sarasota on the Map. And Modern Map Art Has the Map. Home » Fuzzies, Gadgets & Stuff » MTV’s Siesta Key Will Put Sarasota on the Map. And Modern Map Art Has the Map. 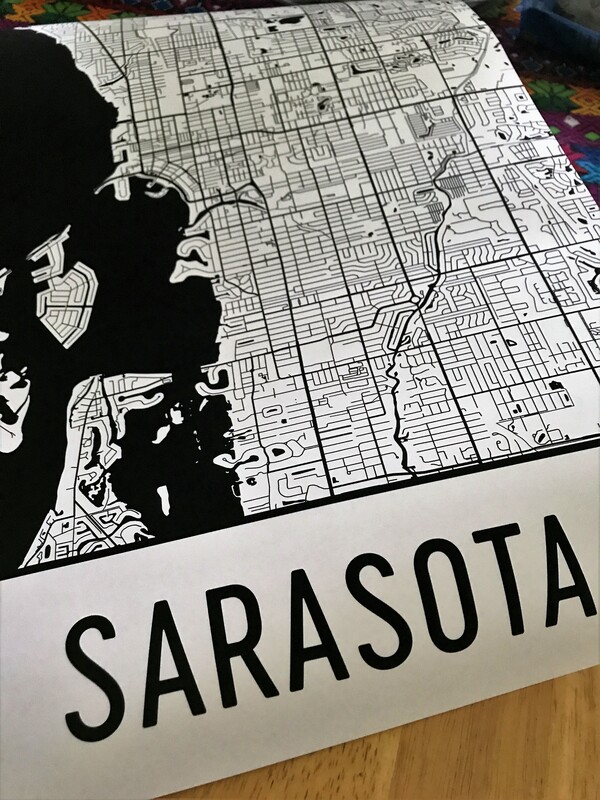 Sarasota Street Map Poster by Modern Map Art is Fun and Perfect Decor for the Traveler. Can you find Siesta Key on a map? How about Sarasota? What does it mean to put a place on a map? 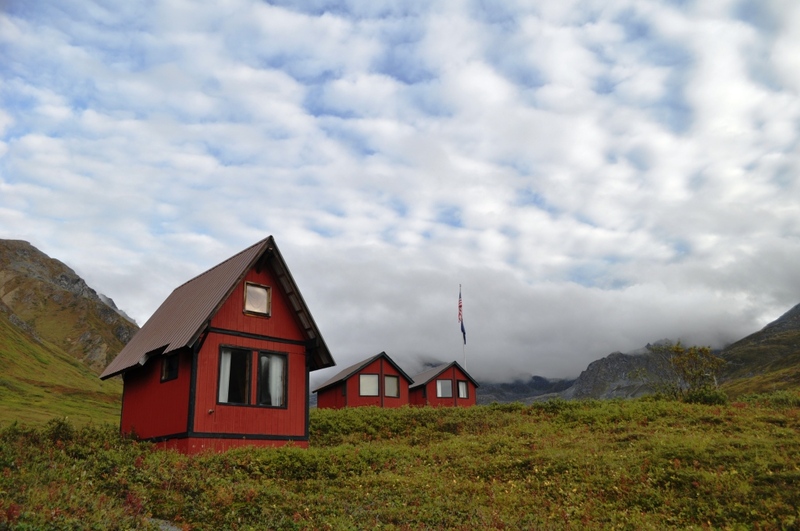 It seems when something out of the norm can bring attention to a destination, the locals believe it will put them on the map. And, Modern Map Art has the map. “It will put Sarasota on the map,” I heard many say prior to the July 31, 2017 debut of MTV’s “Siesta Key,” a quasi-reality show filmed in and around Sarasota, Florida. I’m not sure if this show about young, 20-somethings partying in a community popular for active retirees will put Sarasota on the map. Because Sarasota already has noteworthy milestones, world-class attractions and well-known residents that have put this Florida city on the map. 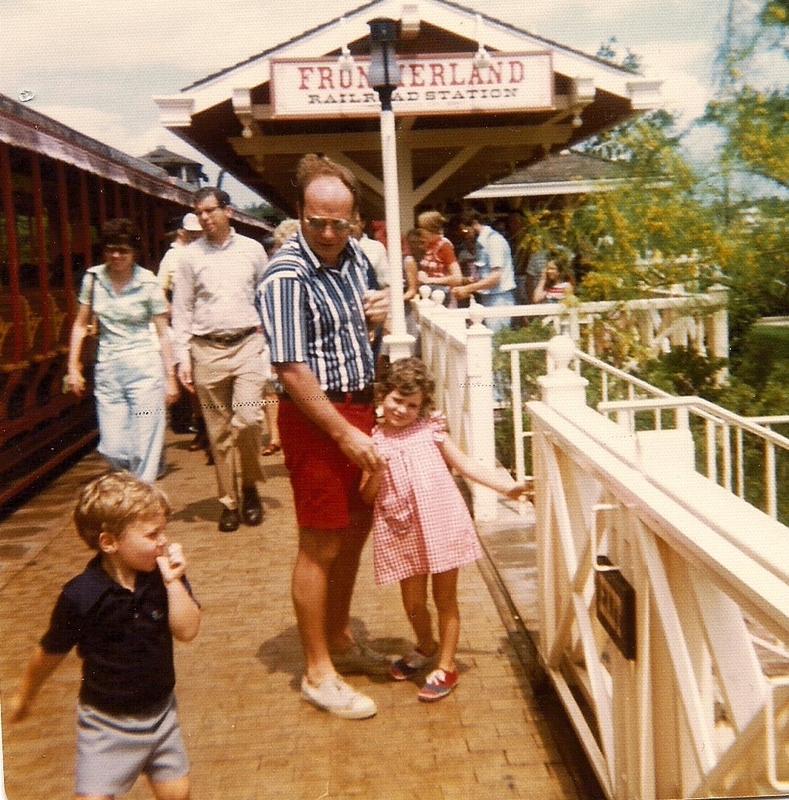 To start and to be brief, it’s home to Siesta Key and its world-known, powder soft, white-sand beaches. 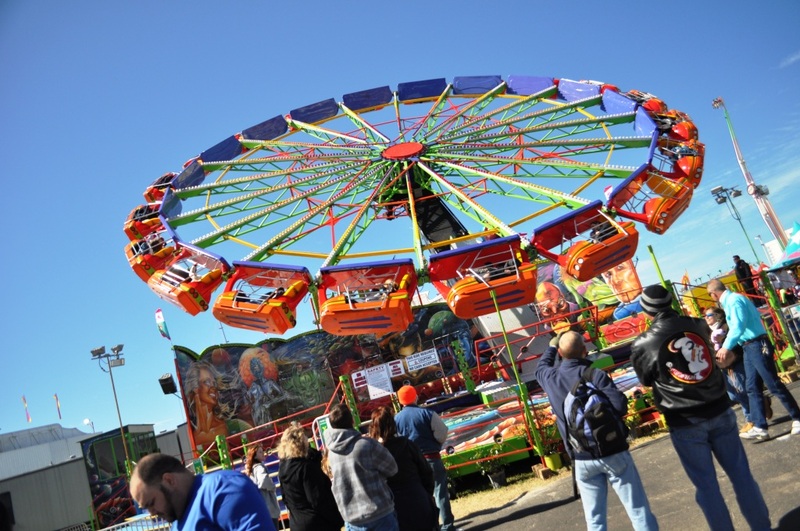 It’s also where John Ringling wintered his family’s famous circus in the early 1900s which is why Sarasota is home to the art and circus museums at The Ringling Museum. And then there’s daredevil Nik Wallenda who trained for his walk across the Grand Canyon in Sarasota bringing with it national and international media attention that was to put the destination on the map. “Sarasota is the Amish Las Vegas,” one of the “Breaking Amish cast members said during an episode. Watching the “Siesta Key”is, uh, a little weird. Not because I’m a whole lot older than the target audience (by about 30 years) and I have no clue why the young women on the show are interested in Alex (other than his father bankrolled the series) but it’s not the Siesta Key and Sarasota I grew up with. I love its powder-soft sand and easy-going vibe. I love the wide beach and Sunday evening drum circles. Modern Art Map Produces Artwork with a Stylish, Art Deco Vibe. But, it’s putting Siesta Key and have a Sarasota on the map, right? And that Sarasota map you’re looking for is probably waiting for you at Modern Map Art. 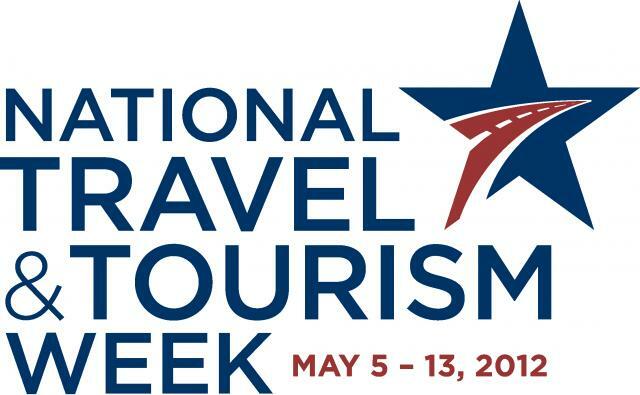 In fact, they have over 500 destination maps representing cities and countries across the globe. 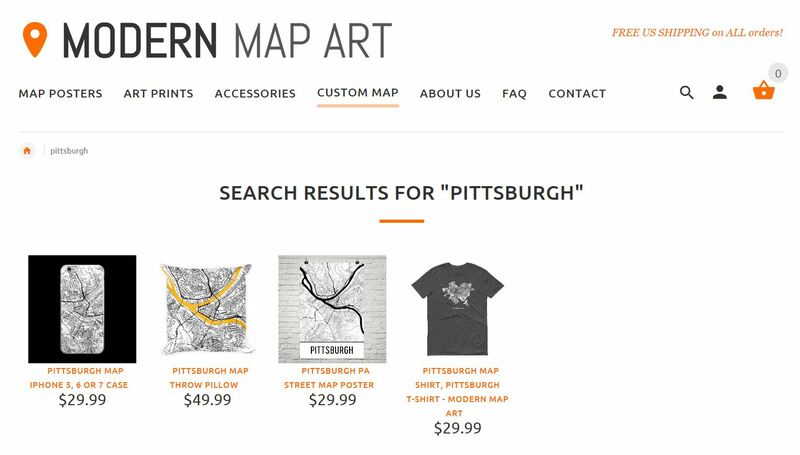 They are available in the forms of vibrant art prints, black and white map posters (although, some are available in another paper color than white, such as a color representing that city’s sports team), colorful ski run maps, nifty map iPhone cases, snazzy t-shirts and fun map throw pillows. A Sampling of Artful Products from Modern Map Art. Modern Map Art prints, posters, pillows and other items are fantastic for letting you be in your favorite destination when you can’t be there. 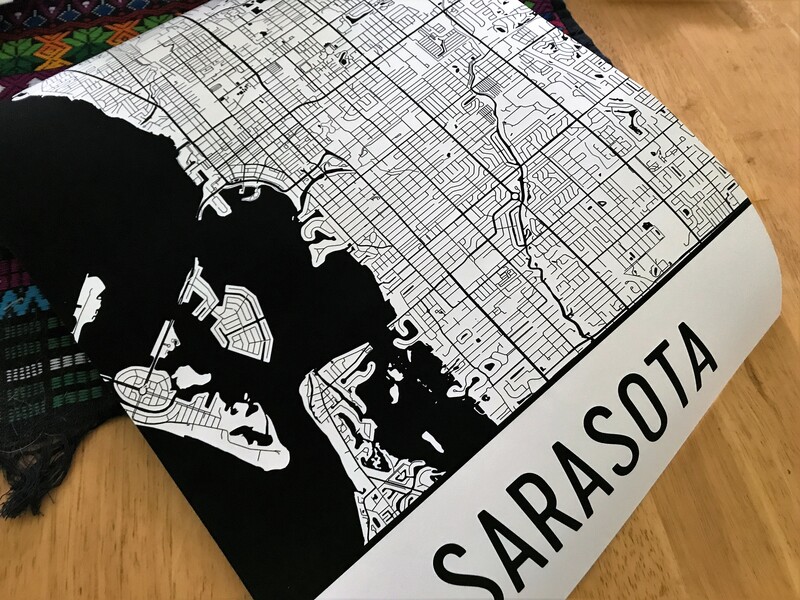 I was given a Sarasota street map poster and every time I look at it, it evokes emotions and feelings of all the happy times spent with family and friends while visiting and later living there. The street map poster is a black and white print on heavy paper and has the city’s name in a bold, block print on the bottom. It’s a clean, uncluttered style done in an edgy, Art Deco way. They come in sizes ranging from 8” x 10” to 24”x36” with several sizes in between. Modern Map Art posters, prints and pillows are perfect for giving to the favorite traveler in your life, as a thoughtful housewarming gift, wedding gift if the couple has a destination wedding or if you know where they were engaged, or for decorating your own home or business. I can see these artful items in a B&B, hotel or AirBnB rental, too. I can’t list ALL the cities and countries available but a sampling includes Bangladesh, Havana and Las Vegas. Custom maps can be ordered, too. Pricing begins at $29.99 U.S. (free shipping within the U.S.) for an 8” x 10” poster. My Sarasota street map poster arrived wrapped in plastic in a sturdy cardboard tube. The next time you hear someone say their city will be put on the map, point them over to Modern Map Art to find that map. 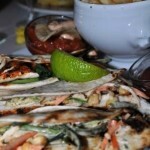 Visit www.modernmapart.com to learn more. Disclosure: I was given a Sarasota street map poster by Modern Map Art in order to review. Opinions are my own and have not been reviewed by Modern Map Art.